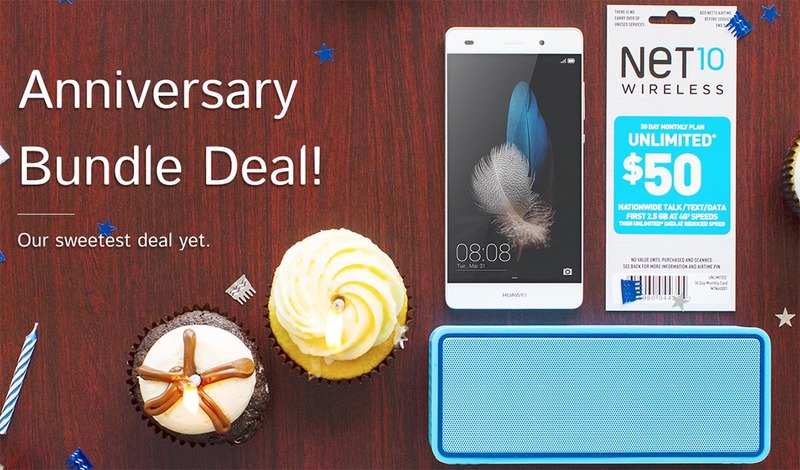 Shortly after Huawei announced the new P8 Lite and we unboxed it, the Chinese smartphone maker posted an anniversary deal that lasts for the next 72 hours and is 100% worth looking at. The deal lands you $50 off your entire order just for ordered one of their phones (P8 Lite, Ascend Mate2, or Snapto), a free $100 Bluetooth speaker, $50 free airtime card with Net10 Wireless, and a free case, should you choose the new P8 Lite. According to Huawei, you are looking at a total savings of over $200. Again, the deal is only live for 72 hours, so get to it.